A birth Injury can result in life-long suffering to the mother and/or child as a result of medical negligence during labor and delivery. Brachial Plexus injury/ Erb’s Palsy – Injury to the nerves that control arm and hand movement, i.e. the brachial plexus nerves. Oftentimes normal movement returns within a few months, but the injury can be permanent. Brain Injury – Catastrophic injury occurs if the baby doesn’t have enough oxygen. Prolonged oxygen deprivation can result in brain damage and neurological disorders, such as cerebral palsy, hypoxic ischemia injury, and epilepsy. 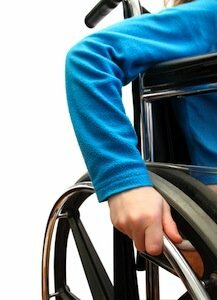 Cerebral Palsy – Neurological disorder affecting movement and coordination. Facial Paralysis – Occurs when facial nerves are damaged either from pressure in the birth canal or forceps use. A severe injury could require surgery or result in permanent damage. Bruising – Develops on the head from trauma in the birth canal or from forceps use. Some bruises require surgical treatment. In a medical malpractice case, the Kreisman Law Offices will seek to prove that your Chicago medical provider acted negligently and that their negligence directly caused the birth injury. Usually, a birth injury results in very high damages because the child may require long-term medical treatment, his or her disabilities may be permanent, and the cost of medical care and rehabilitation can be expensive. Inappropriate administration of labor-inducing drugs. Most babies are delivered in a hospital in close proximity to the mother’s attending obstetrician. In some cases, mothers have special circumstances that require specialized training in obstetrics. A minority of babies are delivered by midwives rather than physicians, although the number of deliveries by midwives seems to be on the rise. Unfortunately, some babies are injured before or during the delivery process. According to the Center of Disease Control (CDC) six out of every 1,000 births in America result in an injured child. Many of the birth injuries that occur are preventable and avoidable. The physiological makeup of a mother, for example, a woman with a smaller pelvis or birth canal is known in advance. The fact that an unborn baby is large would make it very difficult, if not impossible, to deliver the child vaginally with the mother’s physical makeup. In a case where a large baby is attempted to be delivered vaginally, the delayed delivery may cause oxygen deprivation which can cause serious and permanent brain injury to the child. In too many of these cases, the birth injury is caused by the negligence of a doctor, nurse, midwife or other medical provider. Most birth injuries are caused by mistakes during labor and delivery that include the failure to recognize and act on fetal distress. Fetal distress is indicated objectively by electronic fetal monitoring which should be ongoing when the mother arrives or is in active labor. Another birth injury mistake is the incorrect use of forceps. The incorrect use of forceps and using excessive force is a common cause of birth injuries. In every case where the fetus is in distress and/or there is a preventable cause of oxygen deprivation, the unborn child is in great danger of severe and permanent brain injury. Sometimes the mistakes are in the application of medication to the mother or the use of dangerous medication that caused injury to both the mother and the unborn child. In too many of the birth injury cases, the medical errors seem to be progressive in that one error compounds another. Many times the immediate need for a Cesarean section delivery is overlooked causing what amounts to preventable brain injury to the child. A birth injury to your child is devastating. It is imperative that you have experienced lawyers on your side. With over forty years of experience in handling birth injury cases, the Chicago medical malpractice lawyers at the Kreisman Law Offices have the know-how and resources to aggressively handle your birth injury legal claim and obtain justice for you and your child. Contact our Chicago office at 312.346.0045 or 800.583.8002 for an immediate free consultation, or fill out a contact form.